At TMG, we take quality seriously. We’re registered to ISO 9001:2015, and we run two labs to ensure the engineered thermoplastics we distribute and manufacture meet each customer’s specs. 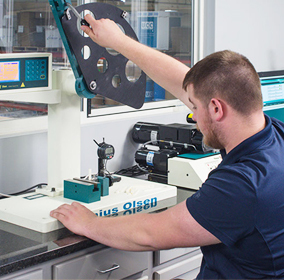 Our testing services run the full gamut and include state-of-the-art equipment to verify the physical and chemical properties of the plastic resin we deliver to our customers. If you’re looking for a high-quality, verified plastic resin source, you’re looking for TMG. Contact us today to put our industry expertise and commitment to quality to work for you.